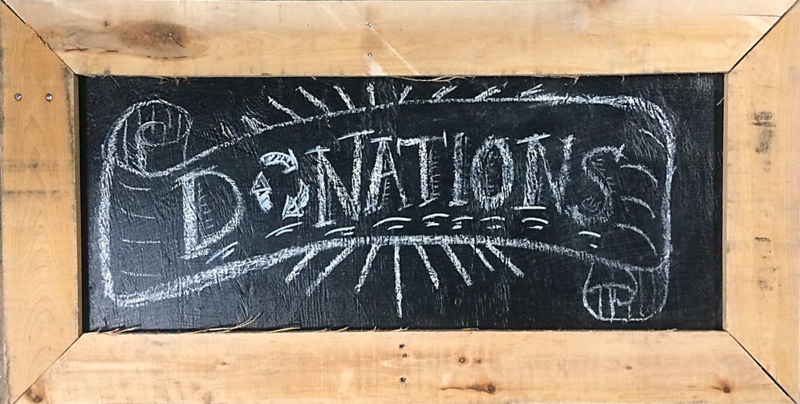 We had a LOT of donations arrive in the mad rush at the end of 2017, as donors brought load after load of furniture, appliances, and more to the warehouse. Come in early today and warm up with a complimentary cup of hot cider (while supplies last), and get the first pick of all the good stuff that’s just arrived! 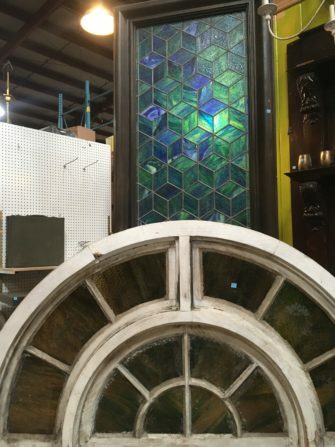 This amazing stained glass arch is one half of a pair! One of our box trucks made several trips to New Jersey to rescue over a dozen pallets of high-end tile from going into a landfill. The boxes (10 sheets, 11 square feet each) range from $50 – $110, and, as always, are listed at a fraction of the retail price. 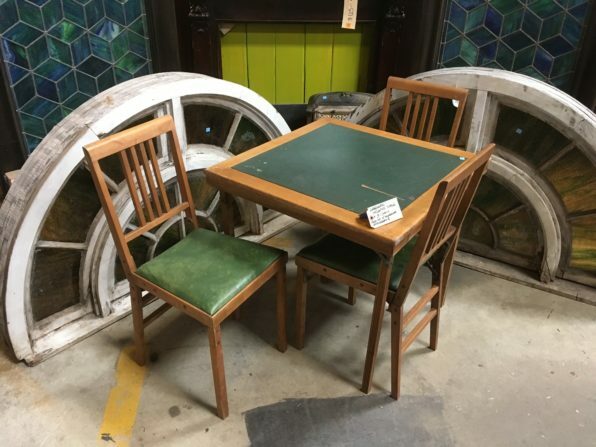 Vintage Leg-O-Matic folding table and chair set is $69. 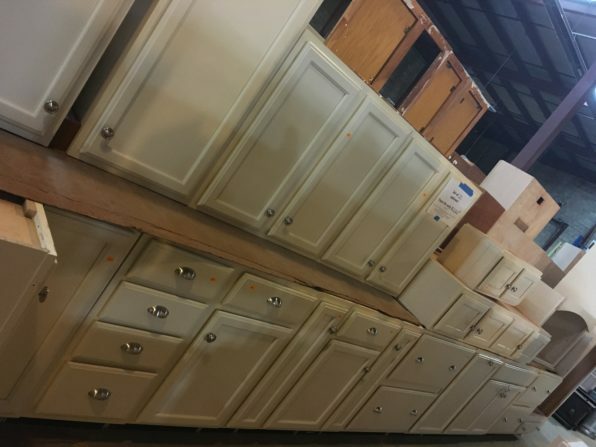 We received some great cabinet sets, including this beautiful 20-piece kitchen! Don’t wait too long to come look through all the great stuff, or you might miss out. Our Salvage Superheroes are here waiting to give you a warm welcome and toast to the New Year!